The Dakine Tour Snowboard Bag proves sometimes simple is better. It's got enough room for your essential on-mountain gear, and stores it all safely in padded and tarp-lined security. So not only can you count on your board showing up in one piece, you won't have to worry about a wet board soaking through the rest of your luggage on the trip home. And when you do get home you won't have to worry about where to store the bag either, because it's a packable design that folds up making it easy to tuck it under the bed, couch, or wherever you have room. "Does this bag have wheels and space to pack boots?" 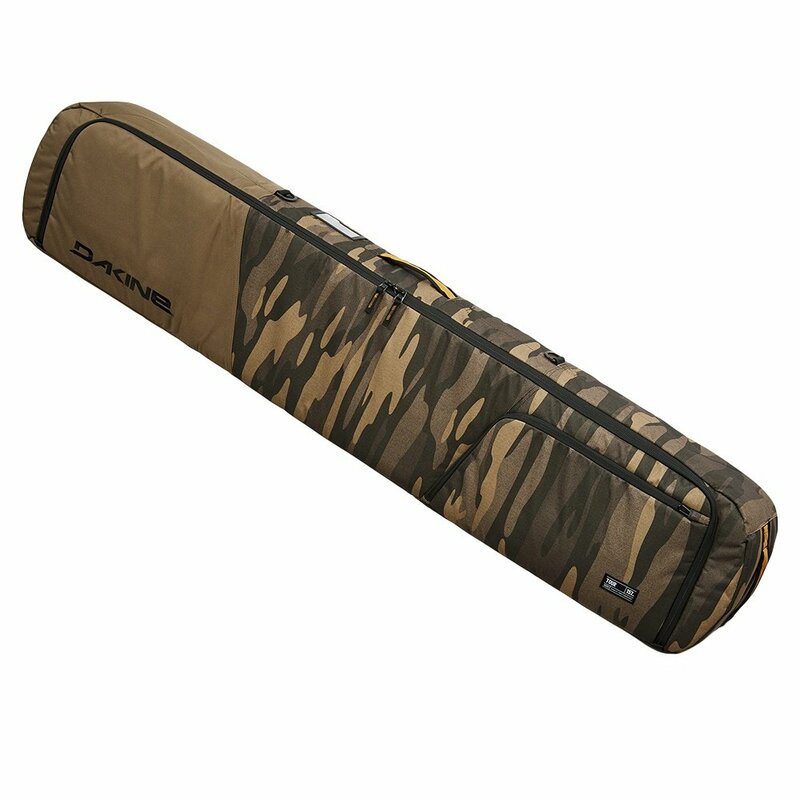 "The Dakine Tour Snowboard Bag has enough room for your board, bindings, boots, and outerwear. It has a tarp lining that protects the bag from sharp board edges and the rest of your luggage from dirty gear. It does not have wheels. Hope this information helps! " I purchased the 157 bag for a road trip and I was very pleased. The entire bag is padded and protected my snowboard and gear. There was plenty of room for my 139 cm board, medium helmet, boots, jacket, dry-fit zip-up, and pants. Plus, the pocket in the front provided additional room to store other gear - I stored two goggles, snowboard socks, and knee pads.